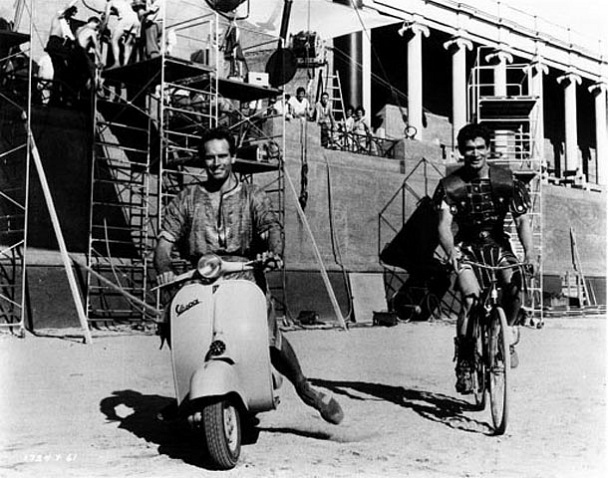 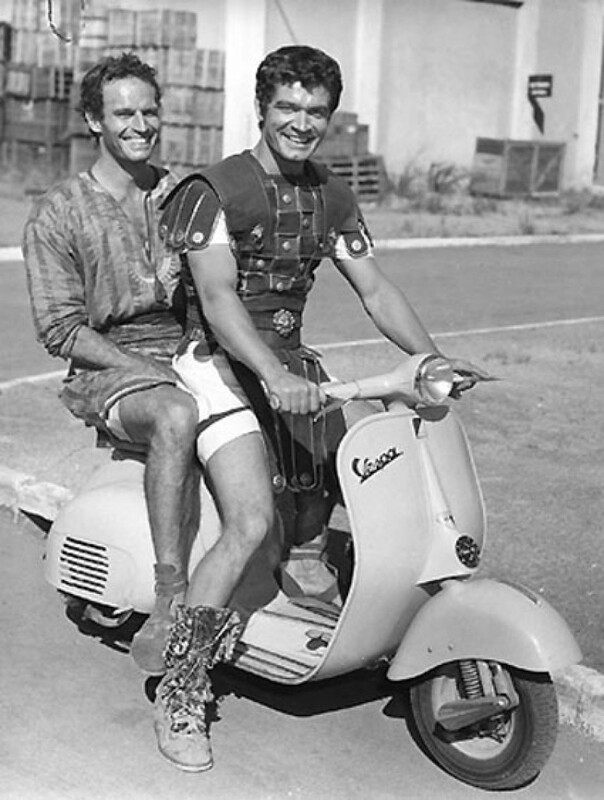 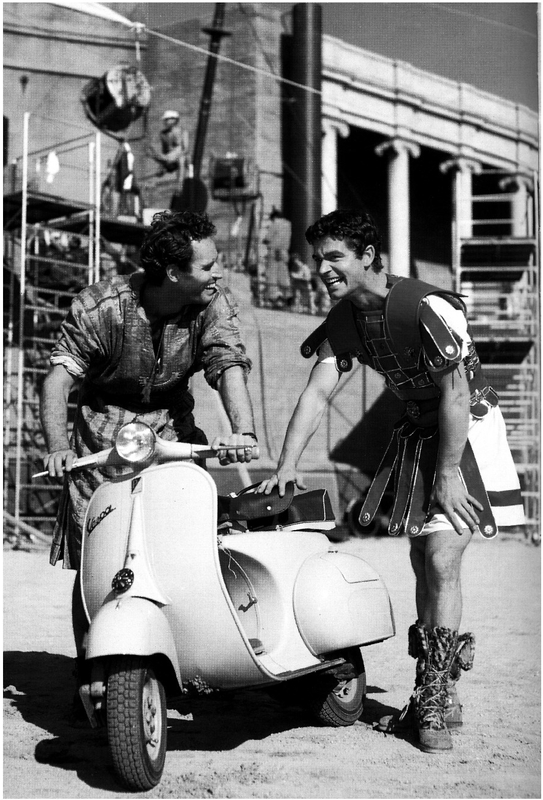 During the 1959 filming of Ben Hur, when he wasn’t hurtling round Rome in a chariot Charlton Heston used a more modern and arguably far more elegant mode of transport as can be seen from these photos we’ve dug out from the dusty vaults of the Internet. 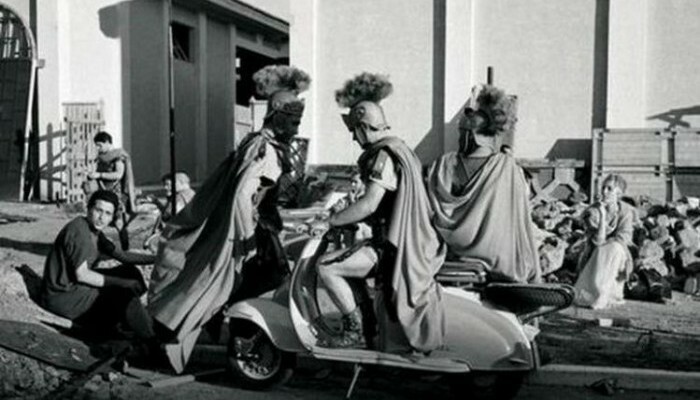 Whether this was a publicity stunt for the burgeoning Italian scooter industry of the time is open to conjecture but we’ll wager you won’t find too many other photos of Roman gladiators scooting around Italy’s capital city. 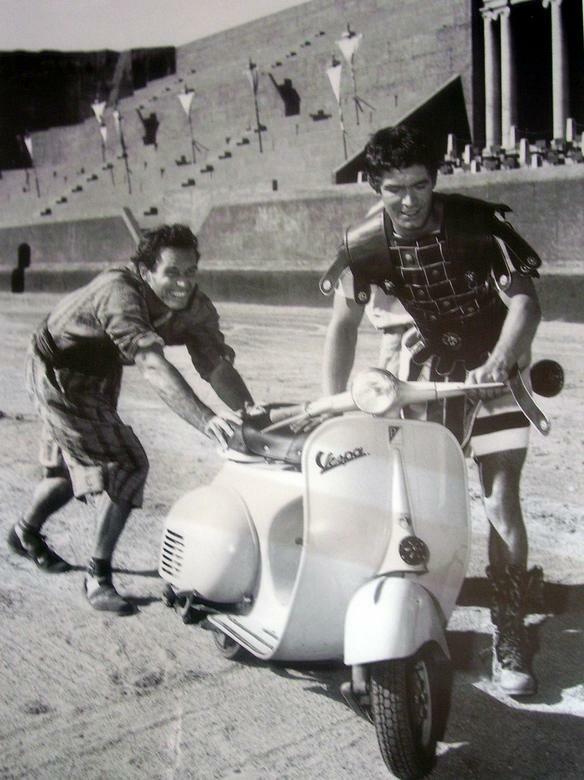 We reckon there’s three different models of scooter here so will offer special Brucie bonus points to anyone who can identify which is which. 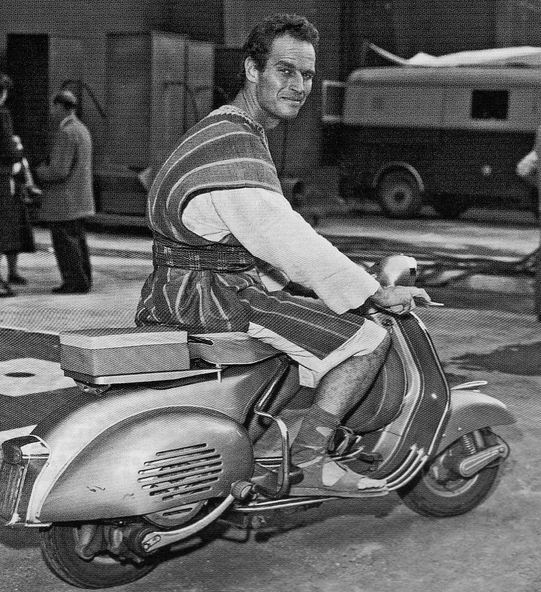 VoEA Trivia Fact: Paul Newman was offered the lead role in Ben Hur but turned it down because he didn’t think he had the legs to wear a Roman tunic.